Angler's name – Brad Leach. Skippers name – Jeff Thompson. Lure - JB XXL Dingo. Capture Date – 17th Feb 2018. 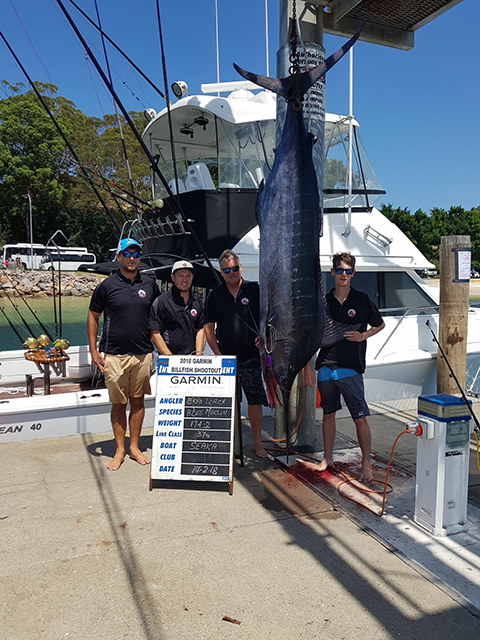 Comments – 2018 Billfish Shootout - Newcastle & Port Stephens GFC 2nd Highest Point Scoring Marlin and 3rd Heaviest Marlin.